Hi everyone. I'm posting this here, since it's not a knit or crochet question, and 'm hoping someone can tell me what tool is being used in the first picture. You'll see in the final pictures that these are dandelions, but I think if I change the colors they could be perfect thistles...and I love thistles! and while I'm asking: What kind if thread/yarn is that? I'm a knitter and this looks thinner than yarn but thicker than embroidery floss to me. This blog is written in Turkish, which I had translated, but it still doesn't read very well. Looks like a crochet fork for hairpin lace or sometimes called Maltese lace.! Actually, I wanted to make of woolen threads. But those in the house was not there. And I realized that the Summer (or equivalent) is ideal, as It has a separate viscose thread and flower looks interesting, "with the tide." 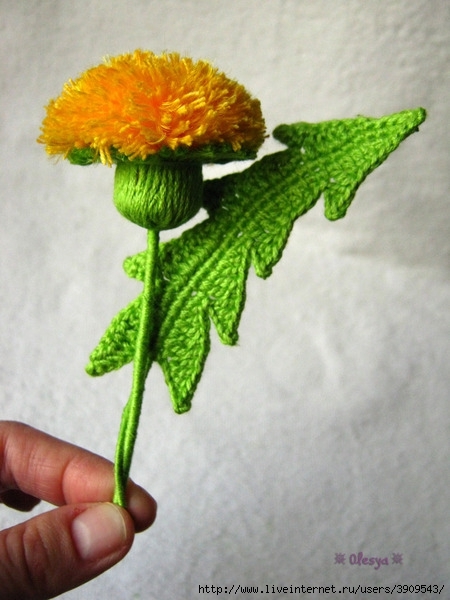 In addition, the plug will need to knit (I have a width of 6 cm), rugged not thick yellow thread (I h / b Lily YarnArt), thin needle, a needle gypsy, PVA glue, knife, wire (for the stem and thinner - for leaf ). OMG this forum is AMAZING!!!!! ...all my answers and more! Thank you all. now gives me an idea or two! thanks! 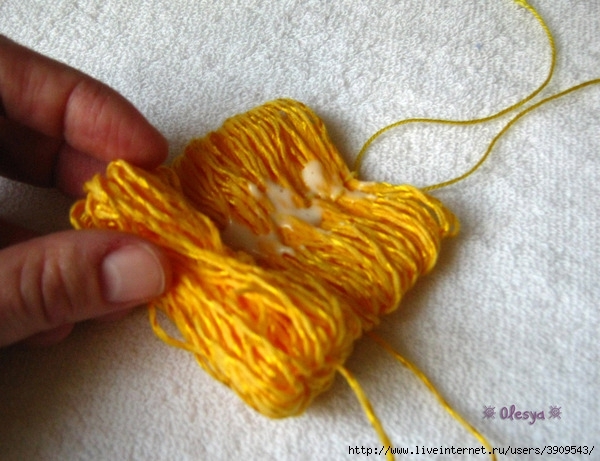 I use a much longer but similar tool to make yarn hair with a center part for my cloth doll making. 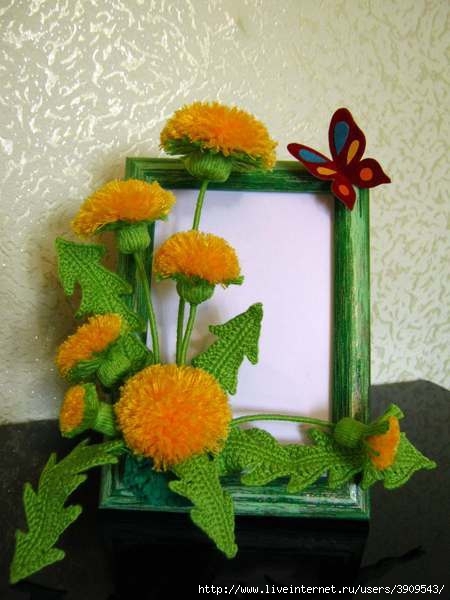 Just cut the loops and stitch or glue on head and arrange. 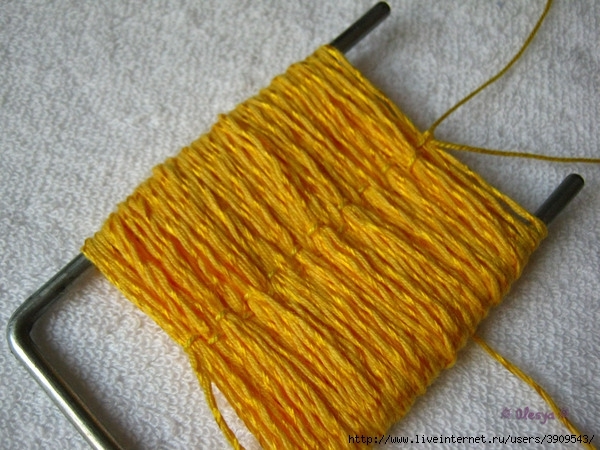 The thread looks more like a size 10 crochet cotton than perle cotton or embroidery floss to me. Just MHO.